That sounds about right to me, because the best of Feiffer’s strips – known, incidentally, as “Feiffer” –usually consisted of one character looking at the reader – breaking the so-called fourth wall – and going on for six or eight panels. The results weren’t always funny, but they were always sure to be thought provoking. 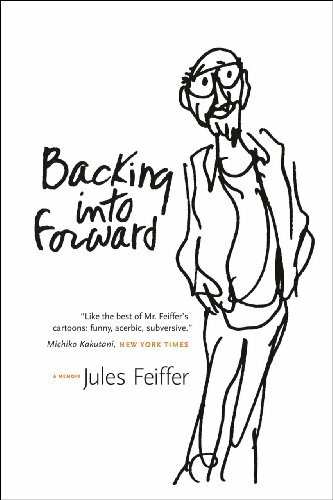 Order ‘Backing into Forward: A Memoir’ by Jules Feiffer, available from Amazon.com by clicking on the book cover above! 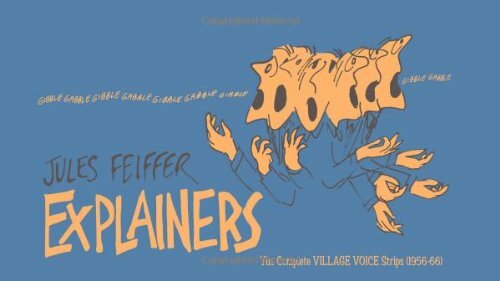 This month, Fantagraphics published Explainers, the first of four dense collections of Feiffer’s entire run of weeklies in The Village Voice. This volume of 500 strips is from 1956 through 1966; the strip ran through 1998. Oh, and he won a Pulitzer Prize for his comic strip, too. Jules Feiffer is one of comics’ great characters himself. 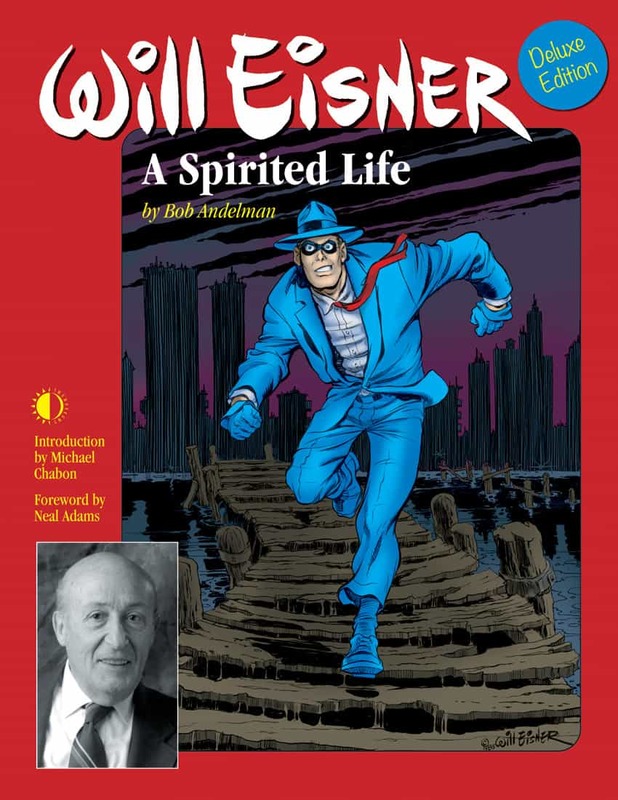 He famously got his start with Will Eisner, creating and drawing a children’s strip called “Clifford” and eventually writing during the last years of “The Spirit”’s original run in the late 1940s and early 1950s. Besides his long-running strip “Feiffer,” he might be best-known for his children’s work, from illustrating The Phantom Tollbooth and writing the original screenplay for the Robin Williams film, Popeye, to his book The Man in the Ceiling, which is being adapted as a musical by Disney. He also wrote the original screenplay for Carnal Knowledge, starring Jack Nicholson. Feiffer’s also just completed his memoirs, which will be published in 2009. I could keep going, but then you’d never get to hear from the man himself.